Nominations are now invited for award of UCL Honorary Degrees and Honorary Fellowships in 2019. Please note the criteria for these awards. It is expected that recipients of UCL Honorary Degrees and Honorary Fellowships will normally have had a close association with UCL, although for recipients of Honorary Degrees this requirement may be balanced by scholarly or intellectual excellence that is linked to UCL's ethos and values. 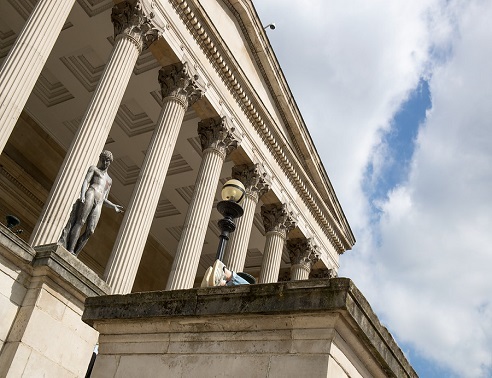 In keeping with UCL's commitment to equality and diversity, the Honorary Degrees and Fellowships Committee would encourage members of the UCL community to give particular consideration to women and black and minority ethnic candidates for these awards. Nomination forms are available to download online and should be completed and returned to Olivia Whiteley in Academic Services (o.whiteley@ucl.ac.uk) by Sunday 30 September 2018.